Artisia Green, the Sharpe Associate Professor of Civic Renewal and Entrepreneurship, became a William & Mary faculty member in 2010. She is also an associate professor of theatre, speech, dance and Africana studies, and serves as director of the Africana Studies Program. Professor Green’s areas of expertise include African-American theatre history and the intersections of performance, direction and dramaturgy. Professor Green teaches a wide range of courses that allow her to share her expertise in these areas with students, including African-American Theatre History I & II, Theatre in a Post-Racial Age, The Black American Story, and Reimagining Communities. During the 2017-2018 academic year, Professor Green taught two classes for the Sharpe program: Coll 150: Reimagining Communities and Coll 300: August Wilson’s Approaches to Cultural Sustainability. In 2018, she earned a W. Taylor Reveley, III Fellowship and a WMSURE Mellon faculty fellowship for her contributions to the university community. In 2016 Professor Green earned an Arts & Sciences Faculty Award for Teaching Excellence. Professor Green’s current research interests include decoding traditional African systems of thought in creative expression with a particular interest in Yorùbá philosophical systems. In 2014, she was selected to attend the National Endowment for the Humanities Institute, “Black Aesthetics and African Centered Cultural Expressions: Sacred Systems in the Nexus Between Cultural Studies, Religion and Philosophy,” where she further developed her research on spiritual expression in black dramatic literature and connected with other scholars. She has published a book chapter in August Wilson’s Pittsburgh Cycle: Critical Perspectives on the Plays, a performance review and two articles with Continuum: the Journal of African/Diaspora Drama, Theatre and Performance, and she has a forthcoming sidebar on August Wilson in “African American Culture: From Dashikis to Yoruba” (Greenwood Press). Professor Green directed the play “Hoodoo Love” for the ETA Creative Arts Foundation in Chicago, which earned her a 2013 Best Direction nomination from the Black Theatre Alliance Awards. From 2007 to 2014, Professor Green was an executive board member of the Black Theatre Network, also serving as president from 2010 to 2012. She was a member of the executive board of the August Wilson Society from 2016-2018. Last year, Professor Green gave a talk at the World Humanities Conference in Liège, Belgium, a lecture for The Braxton Institute in Washington, DC, and presented on a roundtable for the August Wilson Society. As part of her Sharpe Professorship, she traveled to Salvador and Cachoeira in Brazil where she studied Afro-Brazilian religious culture and to the Atunfato Temple in Nigeria to study cultural sustainability practices and community organization. Professor Green is also incredibly active on campus. She served as a committee member of50 Years of African Americans at W&M, the Task Force for Race and Race Relations, and served as the faculty director for the Africana House Living and Learning Community from 2012 to 2014—a position she will hold for this coming academic year. She has also directed many campus plays for William & Mary Theatre, including “Crowns,” “Joe Turner’s Come and Gone” and “Ruined.” This year she will direct “The Children’s Hour.”Professor Green also worked alongside other William & Mary faculty on a collaboration known as the “Narrative Medicine for Excellence Project,” which brings together faculty and students from across disciplines to “increase creativity and the reflective capacity of students who will be entering the medical profession for the improved ability to read, listen to and respond to others, as well as become reflective practitioners.” She has made a diligent effort to engage the community by serving as the former ACT-SO Committee Chair of the York, James City County and Williamsburg branch of the NAACP, and as a member of the 2019 Commemorative Commission for the City of Hampton. Professor Green holds a B.A. from William & Mary and earned her M.F.A. from Virginia Commonwealth University. 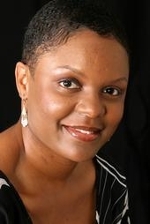 She was also an associate professor of communications, media arts and theatre at Chicago State University.